So this is a different side of me, which you do not usually get to see here on my blog. I thought that I would show you a little bit into my life, what I do, how I do these things..
As some of you will know, I have been a BA Hons 3D Computer Animation student for the past three years. I am currently in my third year and starting to get ready to apply for jobs within the industry. Within Computer Animation, there are several routes that you can go into. I won’t name them all but you can specialise within: modelling (create the assets, characters..), animation, rigging (creating the joints and ‘bones’ for the characters so they can be animated), lighting, groom (hair, fur and feathers) and so many more.. I am focused on modelling and making a start at learning Groom. So I thought I would share my workspace and equipment with you all. 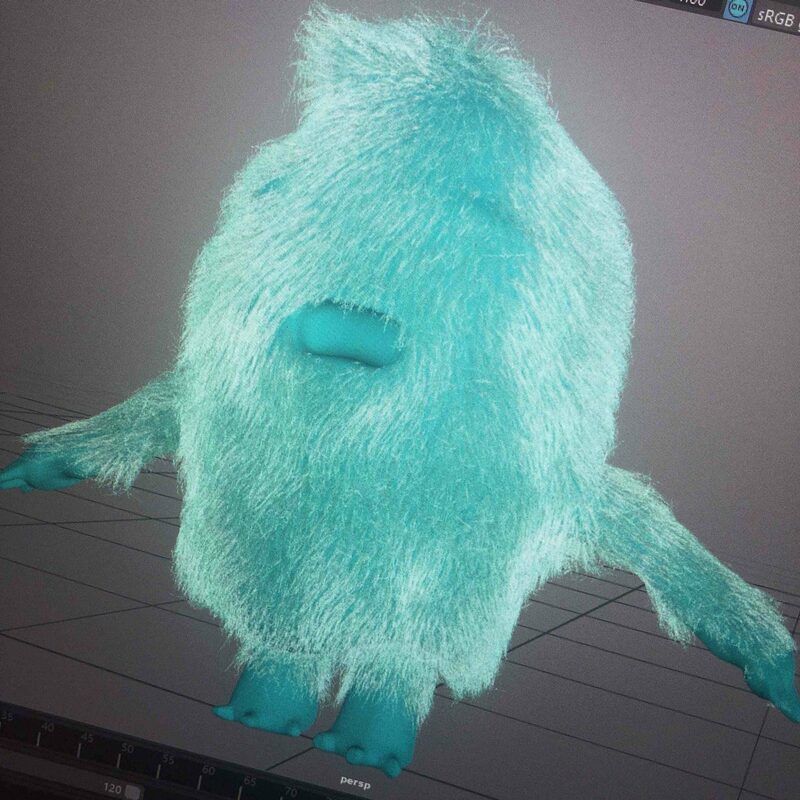 The image below is a screenshot of my latest project, where I am focusing on the groom of a Yeti-esqe character. The very first place to start would be with what laptop do I use. For Computer Animation, your laptop or desktop PC is going to have to be able to handle all of the software and rendering. I noticed this as I am from a Graphic Design background, I could use software such as Maya but when it came to sculpting in zBrush then it could not hack it. I have a HP Omen (https://amzn.to/2ERU5IV) which not only looks stylish and funkaaay, it is also really great at holding up whilst I am modelling and rendering. Along with this, I will use a Wacom Tablet for sculpting in details and to stop the horrid Carpal Tunnel that many people get from repetitive computer movements. The tablet I use is a trusty Wacom Bamboo Pen Tablet from 2011., which you cannot find too often anymore. I have posted a link here (https://amzn.to/2NLrBUd), if you want to see the latest models. Most of them are now bluetooth connectivity and better pressure points! This one has done me proud over the last 7 years and still does its job. Although I am slowly seeing the effects of its ageing such as the cursor jumping whilst I’m trying to sculpt! But hey, I am on my eyes out for a new tablet in the near future so I will keep you updated on that! In class, we have Wacom Cintiq 13HDs (https://amzn.to/2EI1yZO) which are really great to use within Computer Animation! I would highly recommend one of these, if you have the money for one. You can hook these up to your laptop or desktop PC and you can work straight onto the Cintiq monitor. These are especially great if you do any type of illustration work or sculpting as you can work directly onto your piece and saves a lot of time in the process! 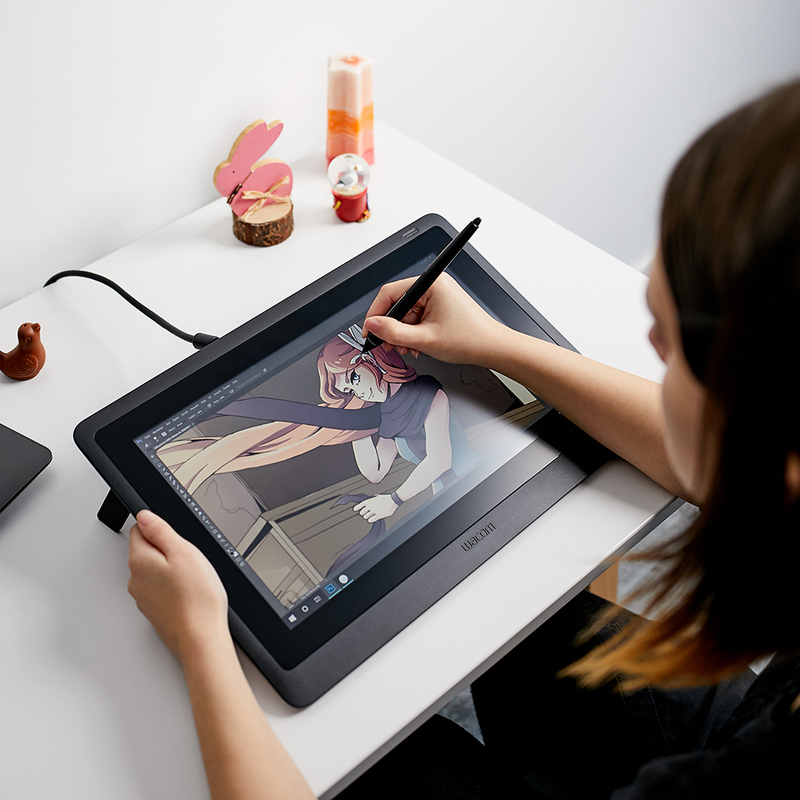 I am hoping to save up to get myself the brand new Cintiq 16 (https://amzn.to/2NJCl5k) that has been released last month by Wacom. These are insanely good to work on, the screens have a paper-like feel to them for a more natural glide and they are a lot of fun too! Once out of university, I would really like my own personal Cintiq to work with and will consider it a graduation present to myself with no added guilt! Right? When it comes to a mouse, I have to have one that has a middle click button! Mine has the roller ball which does the same, and is ESSENTIAL for Computer Animation This is due to the softwares needing use of the middle click button to navigate around the screen! Here is the mouse that I have, which is also wireless – a huge bonus! I have enough cables running around my desk as it is! Interested in Computer Animation and want to know what software I use? I will write a super quick list here, incase any of you are interested. This list will be from a modellers perspective.. So I will leave this there for now.. Some of you might not be interested in this kind of thing, so apologies if not! But I thought it would be a nice change to write about a few other topics that are so strong within my life. I could probably blab on all day about computer animation and modelling, so I am going to stop here haha. If any of you have questions, feel free to comment below and I will do my best to reply!